A look at the processes and hurdles any new Rangers would have to overcome to join Scotland's professional football leagues. With Rangers' immediate future unknown, the club's administrators have refused to rule out the possibility of a 'newco' being created and the current company being liquidated. We take a look at how complicated it would be for any new company to join Scottish football's professional leagues and whether they would join the Scottish Premier League or the Scottish Football League. It is a new company which is set up in the guise of an existing football club, with a view to assuming its likeness, assets and league membership, if it goes out of business. Could the newco go straight into the SPL? The SPL’s articles of association provide a path for a newco to gain access to the league. The league is controlled by its 12 clubs, which each have a single share in the company. In the event of a club being subject to an insolvency event, such as administration or liquidation, the appointed practitioner holds the entitlement to the share. At any stage, be it during administration or a liquidation process, an application can be made to the SPL board for the share to be transferred to another company. The SPL previously stated article 11 of their Articles of Association would be used, which states the SPL board must give its consent for a member share to be transferred. Article 11 states: "Except where such transfer is occasioned by the promotion of an association football club from and relegation of a Club to the SFL the consent of the Board shall be required before the transfer of any Share shall be registered." The SPL board consists of Ralph Topping (SPL chairman), Neil Doncaster (SPL chief executive), Eric Riley (Celtic), Stephen Thompson (Dundee United), Derek Weir (Motherwell) and Steven Brown (St Johnstone). Topping has the casting vote in the event of a split decision. Now, it has been stated article 14, which gives the clubs a vote on the admission of a newco, will be used. The SPL board will then make the final decision. Providing final approval is granted, the share will be sold to the newco for £1. The old club will immediately cease to be a member of the SPL, and the newco would become a member in its place. Are there any possible sanctions? The member clubs could suggest any sanction they see fit. The imposition of a points penalty on any new club coming into the league has previously been speculated upon. There are no regulations stating there must be penalties in such an eventuality. A newco could be allowed into the SPL with or without sanction. Leeds United offer the closest precedent. The club's member share in the Football League was transferred to a newco during the off-season. The newco inherited all of the previous company's playing records, and had a points sanction imposed on them, starting the season minus 15 points. Interestingly, SPL chief executive Neil Doncaster was with the Football League at the time of the Leeds United case. The SPL's rules also bear resemblance to the rules of the Football League from that time. What would happen to Rangers' results this season? 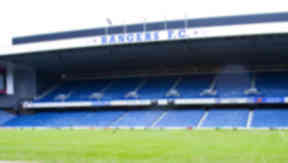 If Rangers ceased to exist and were not replaced, their results this season would be expunged under H5, which states: "If any club in the league ceases to operate or to be member of the league for any reason, its playing record in the league may be expunged and the number of relegation places from the league shall be reduced accordingly." This means all scores involving the club in 2011/12 would be removed from the records, and the league table adjusted. If a newco take over Rangers' place, there is no definitive explanation in the SPL rules and no precedent as to what would happen to Rangers' playing record. The more likely option would be for the newco to inherit Rangers' results from this season, while also being subject to further points sanctions from the league. Other eventualities would appear to be impractical. To preserve the integrity of the league, the newco would have to play 38 games between now and May. Or, they may only play the remaining amount of games left to be filled in the season, which would result in an imbalanced league. What if the newco isn’t voted into the SPL? As there would be one less club in Scotland’s professional leagues, a vacancy would open up at the bottom of the SFL, ie. the Third Division. As has been the case in the past, the SFL would invite clubs to apply for membership of the league. In recent years, Gretna and Annan Athletic have been admitted through this process. There is no guarantee a newco would automatically be given the vacant place. In the past, numerous clubs have competed against each other for the spot in the SFL. Could a newco take over an SFL club and rebrand it? Yes. There is nothing in the SFL’s rules which expressly forbids a current member club being purchased, rebranded and relocated. The biggest hurdle to any newco trying to buy out a club would arguably lie with convincing shareholders to approve the effective death of their team as they know it. If a club’s shareholders were willing to sell its membership and identity to any newco, then the next step would be gaining approval from the SFL board. The league must also approve a club’s colours and kit designs before June 1 each year. So the situation where Airdrie United bought over Clydebank could happen again? Yes. Like in the Airdrie United example, the SFL board would have to give their approval to any change to membership. Would a newco be able to kill off a club as easily as Airdrie United did to Clydebank? That would remain to be seen. Clydebank were in administration and had no permanent ground, but were set to go ahead and play in the 2002/03 season. Airdrie United’s owners made a bid to Clydebank’s administrators to buy the club, on the condition it relocated to Airdrie and changed its name. The membership was successfully purchased, with the fact Airdrie United had agreed a deal to play at the Excelsior Stadium aiding the SFL board in their decision. Would the newco play at Ibrox and train at Murray Park? Both would be under the control of the administrators if the current company was liqudated. Both would be sold off in an attempt to raise as much money as possible to pay creditors affected by the business' collapse. For the newco to be able to use the two, they would either have to purchase them from the administrators, or agree to lease them back from whoever ultimately buys both. Would the Scottish Football Association intervene? The Scottish FA also exercise their authority on the transfer of membership and forbids any transfer of membership without its permission. The governing body makes it clear in their Articles of Association (14.1) that when a transfer is requested, a review is undertaken by the board. The board has complete discretion to grant or reject an application for transfer but also retains the right to impose any conditions or terms on the newco. Will any new owner be subject to a fit and proper persons test by the Scottish FA? There is no such test. The Scottish FA relies on the club, via its official return, self-declaring if there any possible reasons why an office bearer may not be fit and proper to be involved in football. Even if a person is subsequently found not to be fit and proper, there is nothing to stop an individual owning a club. As long as they do not appear on the board, ie. as chairman, nothing can be done. Can a newco qualify for European competition? Any club wishing to apply for a UEFA club licence and play in Europe must have been a member of a national association for three consecutive seasons. Any newco would be considered as a new entity and, therefore, would have to wait three full seasons before being eligible to play in the Champions League or Europa League.